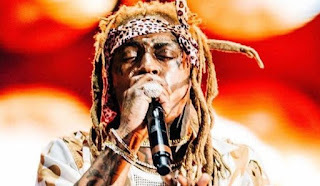 After having some of his lines with Nicki Minaj album,Lil Wayne has finally drop few songs,two which we are about enjoin as the year roll on to it end.The two songs surfaced online after Lil and Birdman meet each other on his fest which we updated previously. You remember that Lil Wayne The Carter V is still on hold and we will be satisfied if only it was released.However,Birdman has spoken that The Carter V will surly drop this year 2018,may be this new songs from Weezy are the first tracks that we should start counting on. The new song are called ‘Deep Sleep’ as for the first song and the second one is called ‘Blood Klot’listening to the second song,is a throw back song but you need to check out to see the difference.Stream it below and share it across.